After a little absence, I decided to come back with a special pack with some MashUps for Miami Music Week of this year, I hope you enjoy it and share. Free Download: http://discoverysounds.com/gate/B-RatherMMWPack17 Tracklist: #001. Sebjak & Will K x Deniz Koyu x Eric Prydz x Sunnery James & Ryan Marciano - Smoke 2Night Me Hertz (B-Rather Private Edit) #002. Sunstars vs. David Tort & Abel Ramos vs. Hardwell - Get Voyage Flames (B-Rather & Adrian C Edit) #003. Simon de Jano & Madwill, JP Candela x Nicky Romero & NERVO - Like Home in Mediterraneo (B-Rather & Adrian C Edit) #004. Florian Picasso & Tom Tyger & Raiden x Shapov x Axwell & Ingrosso - I Love You Vindaloo Bounce (B-Rather 'Runic' Edit) #005. Glen Dale x The Weeknd & Daft Punk - Starboy in Avenue (B-Rather MashUp) #006. GVN & Lee Carter x Nicky Romero & Calvin Harris - Get Iron (B-Rather PRVT MashUp) #007. Maximals X Max Landry X Hard Rock Sofa & Skidka X Axwell - Hypnotize Enigma Sunrise (B-Rather Vs 3l3ctronic & Fuerte Alternative Refix) #008. Divolly & Markward vs Lequ x Dave Winnel, Mr. Wilson vs FPB x Corey James & Will K - Fires Of Tenpaku Militante (Andrea Satta & B-Rather Edit) #009. Alixun & David Fesser x Drop Department x Still Young, Simon De Jano & Madwill x HRS & St. Brothers - Malah Up Temptation (B-Rather & Fuerte BlowUp) #010. Wyne x Dawiid & Josef K x Derry Kost x The Chainsmokers & XYLØ - Poison Marakosa Fires (B-Rather FonkUp) NOT IN THE MIX: #011. Antoine Clamaran vs Divolly & Markward, Jude & Frank x Lee Carter & GVN x Deb's Daughter - Hey Zumba Valar (B-Rather MashUp) #012. Corey James & Santez x TV Rock & Rudy x Duke Dumont & AME - With U In The Air (B-Rather & Massive House Edit) #013. Frank Nitty x Nicky Romero - Endure Lighthouse (B-Rather Private Edit) #014. 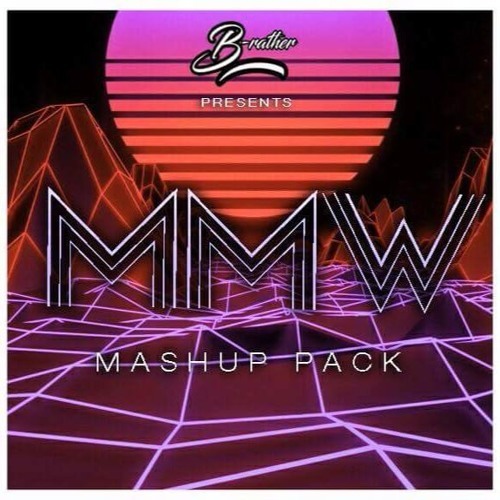 Tourist Mode x Alesso x Otto Knows - Gillionaire Down in Parachute (B-Rather 'MMW' Edit) B-Rather Online: https://www.facebook.com/BRathermusic https://www.twitter.com/B_Rather_ar @b-rather-music @b-rather-official @b-rather-mashups @b-rather-new "Disclaimer, I do not own or claim to own the rights of this track. No copyright infringement intended." makes my heart beat faster.